Is your Driveway beyond repair? 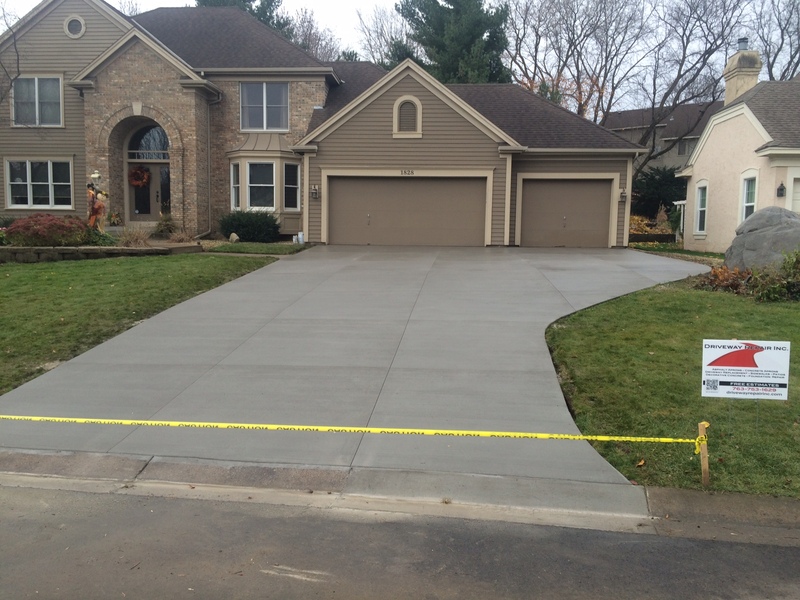 Driveway repair Inc. can replace your entire driveway with concrete. When preparing to install a new driveway or repairing an old one, there are many factors to consider. When choosing a contractor, make sure you ask what they use for the sub grade. Driveway Repair, Inc. uses high quality class 5 materials. We use steel rebar as well as microfiber material which strengthens the concrete and reduces cracking. 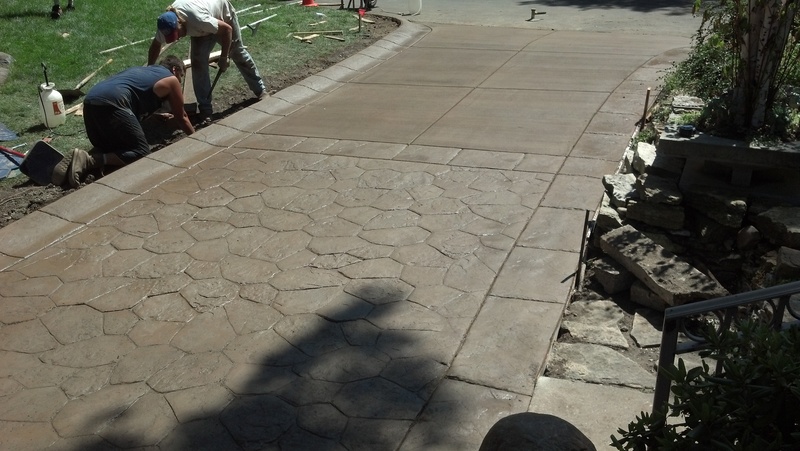 With Minnesota’s ever changing climate, it is crucial to use high quality materials to ensure a long-lasting driveway. Heavy cracking, sinking, potholes and poor drainage are all reasons to consider replacing or repairing an existing driveway. Concrete cures at a rate of 1/16 of an inch every 10 feet, causing a great amount of tension and can crack. Other reasons concrete cracks is expansion and contracting in varying temperatures, concentrated heavy loads, sub base not adequately compacted down, and rapid water-loss prior to finishing concrete after being poured. These reasons can all be minimized by choosing a contractor that has the knowledge and experience needed in installing your new driveway. Strong and solid, concrete stays cool even in hot weather, while asphalt softens and can sink. Concrete also gets stronger over time. It is also environmentally friendly. Corners and edges are less likely to deteriorate. While concrete still cracks, it is less likely to be damaged by things such as tree roots. When properly installed, concrete will last over thirty years. Concrete is also less upkeep. Driveway Repair Inc. is a Minnesota licensed contractor. You can count on us to install your driveway to your satisfaction.